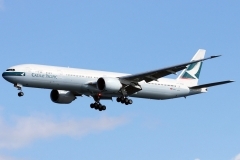 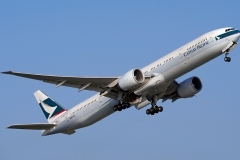 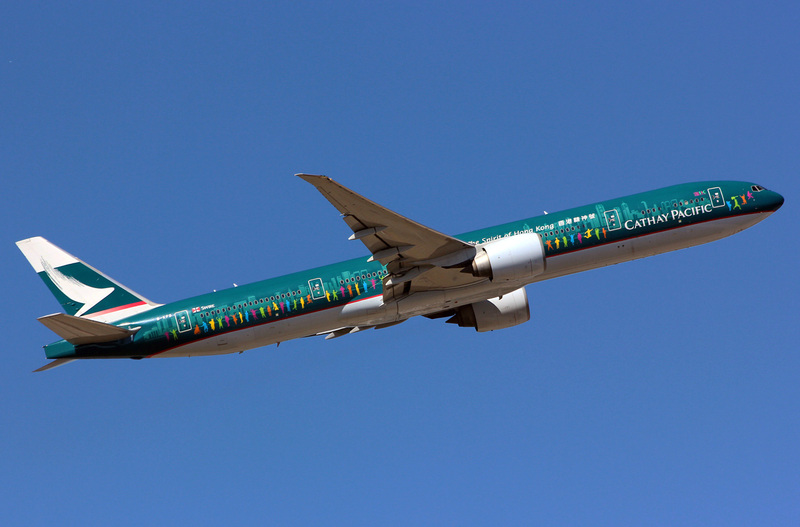 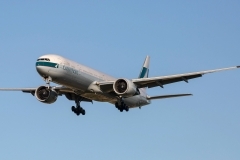 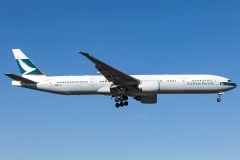 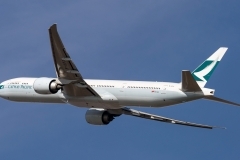 “Cathay Pacific” operates 69 aircrafts Boeing 777-300. 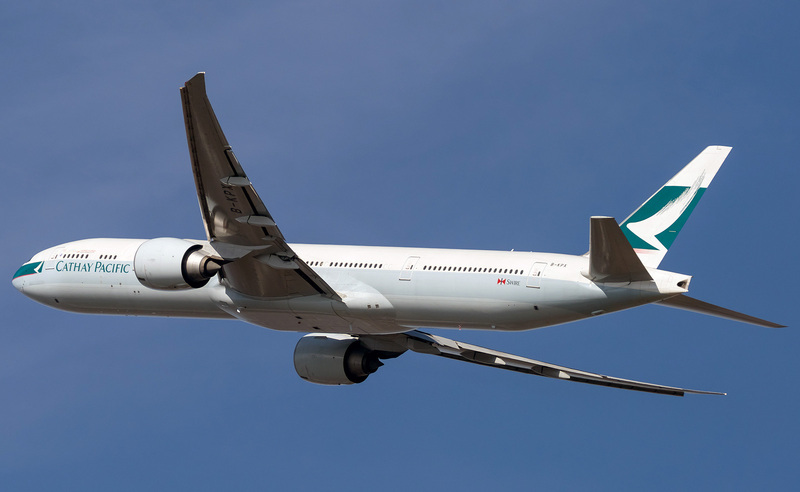 Passenger Boeing 777-300 represents family of wide-body, two-engine airplanes Triple Seven (T7) and is elongated model of Boeing 777-200. 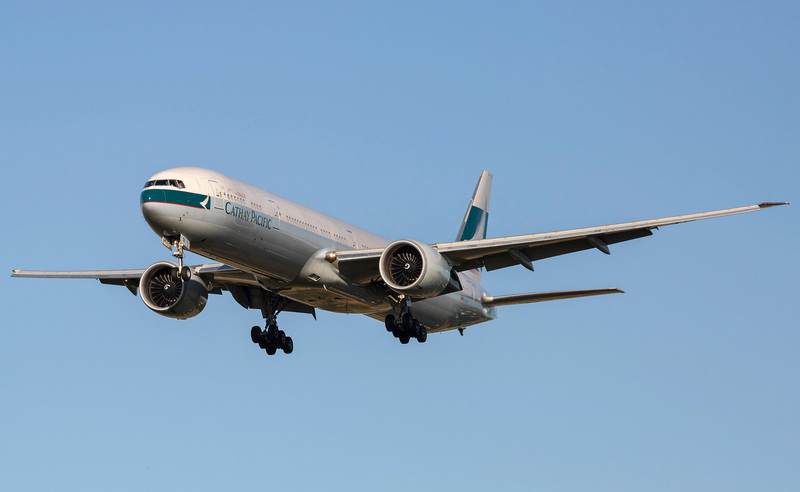 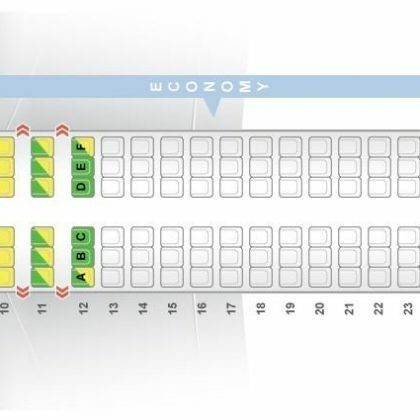 This airplane serves flights of medium and long-haul. 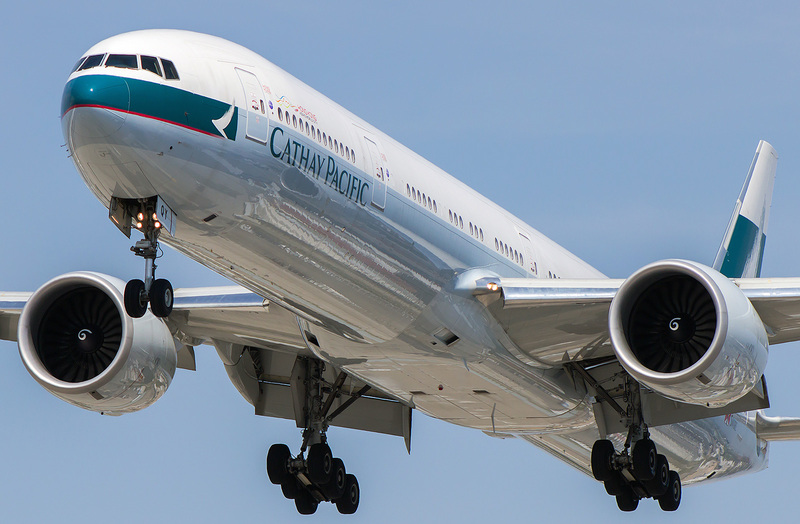 For today it is the biggest two-engine passenger airplane in the world. 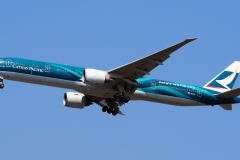 The length of Boeing 777-300 is 73.86 meters with wing span 60.93 meters. 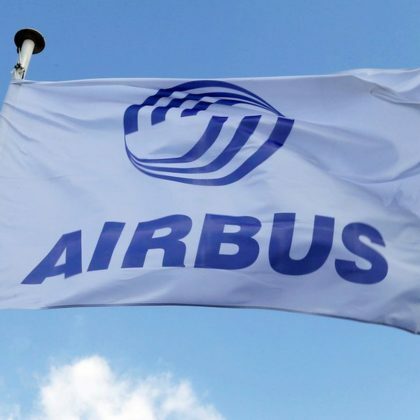 This aircraft was created to replace outdated airplanes Boeing 747-100 and 747-200. 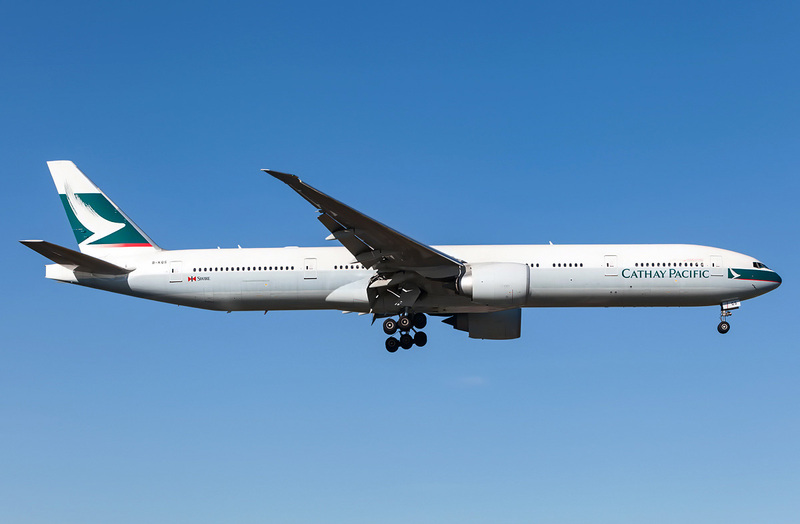 As compared to these models new Boeing 777-300 has passenger capacity and flying range compared with these models but at the same time its operating losses are 40% less. 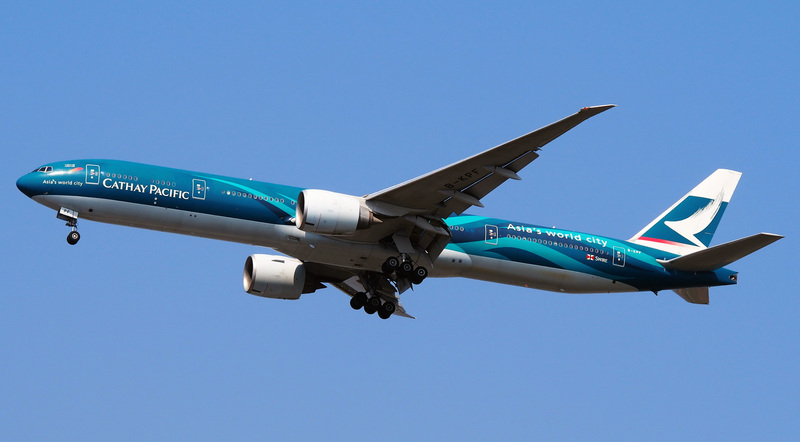 Flying range of Bowing 777-300 is from 7500 to 10595 kilometers.